Earlier this year in Ant-Man, Scott Lang was recruited by Hank Pym and Hope van Dyne to help them stop Pym’s former protege Darren Cross from releasing the Pym Particles to the public. This battle escalated when Cross donned the Yellowjacket suit, but in the end, Scott as the new Ant-Man was successful in stopping the deranged industrialist. Now Ant-Man and The Wasp is coming in 2018, which means a new primary antagonist is called for Scott and Hope to take on. Aside from the loose end of secondary antagonist Mitchell Carson escaping Ant-Man with a sample of imitation Pym Particles, there have been no hints about who Ant-Man and Wasp will face in their next movie. While these heroes don’t have the greatest rogues gallery in comics, there are a few baddies who would provide a unique challenge to the tiny superheroes. Keep in mind that although most of these villains fought Hank Pym and/or Janet van Dyne while they were Ant-Man and Wasp, they can easily be adapted for Scott and Hope to battle. Here are the malevolent folks Marvel should take into consideration. After discovering at a young age that he could spin his body at incredible speeds, David Cannon turned to a life of crime, but he was defeated a number of times in the early years by Giant-Man (Hank Pym’s super-sized identity) and The Wasp. He originally went by Human Top, but later changed it to the more fitting (and less DC Comics-sounding) Whirlwind to go along with his efforts to improve his skills and reputation. Like the rest of the entries on this list, Whirlwind allows Ant-Man and Wasp to fight an enemy that isn’t simply using a twisted version of their abilities, a common trope in the MCU. 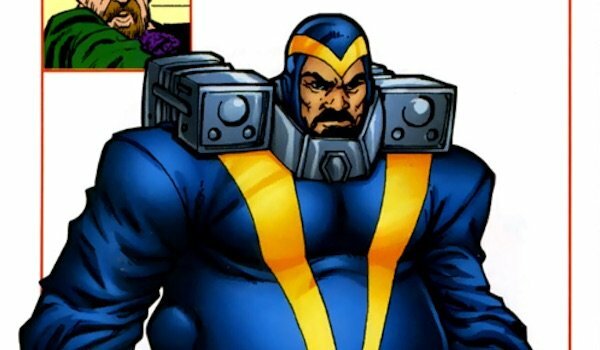 Obviously Whirlwind’s powers would have to be attributed to technology (which would additionally explain the armor he wears) or being an Inhuman since mutants are a no-no in the MCU. Pitting him against the tiny heroes would also be a great way to introduce the Giant-Man powers, assuming those rumors about Scott Lang sizing up in Captain America: Civil War aren’t true. While Jason Lorne Craig was on the job as a radio announcer, he accidentally breathed in "ionized atoms" from a nearby atomic facility that passed through his microphone. This awakened his latent mutation and gave him the power to control anyone within earshot of him when he spoke. He came into conflict with Ant-Man while he was using his power to get rich, and after several failed attempts, the tiny hero was able to defeat him by using a device that caused the villain’s voice to become hoarse, thus neutralizing his control over his victims. In order to make Voice more fitting for Ant-Man and The Wasp, his power would need to be enhanced. Being able to control people is certainly a cool ability, but considering how action-packed superhero movies are, it doesn’t allow for the villain to fight the hero directly, as opposed to just sending his mind-controlled drones to attack. Perhaps his ability starts out being the same as it is in the comics, but later, he goes through some kind of procedure that allows him to use his voice offensively in battle. Think along the lines of Black Canary over at DC Comics. Of course, like Whirlwind, his ability would also have to be attributed to something other than being a mutant. Although Radioactive Man is primarily known as a Thor villain, he has tussled with Ant-Man a few times in the comics. 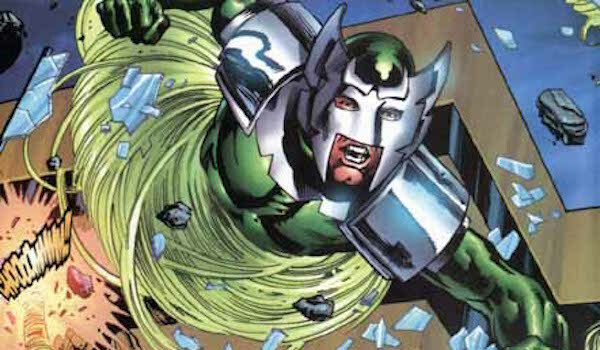 Chen Lu started out as a nuclear physicist in China who was ordered to find a way to defeat Thor, and this led to him exposing himself to small amounts of radiation until he not only built up a resistance, but was able to manipulate it for his own use. In terms of Ant-Man’s history, he helped the Masters of Evil kidnap Hank Pym, but the super villain team later had the tables turned on them by Hank and his fellow Avengers. Given that Thor Odinson primarily deals with adversaries from other areas of the Nine Realms, it’s doubtful we’ll ever see him fight Radioactive Man on the big screen. So, fighting Ant-Man and Wasp would be the next best alternative. The circumstances of why he turned himself radioactive would need to change. Maybe aside from radiation’s obvious effects on humans, the energy he gives off might also somehow neutralize the effects of the Pym Particles and revert Scott back to normal size. 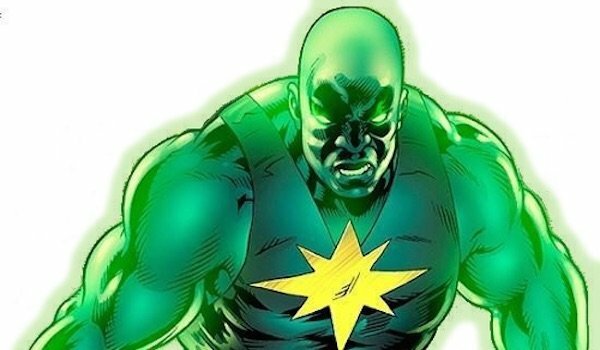 Radioactive Man could also be saved for Phase Four should Marvel decide to introduce the Masters of Evil. Although Professor Nathan Garrett was the descendant of the ancient knight Sir Percy, when he discovered his ancestor’s hidden sword (the Ebony Blade), he found he was considered unworthy to wield it. Undeterred, Nathan built himself a knight’s arsenal with a modern tech spin and called himself the Black Knight, upping his criminal game to a medieval level. He primarily fought Giant-Man and The Wasp solo, but later joined the Masters of Evil to fight the Avengers. 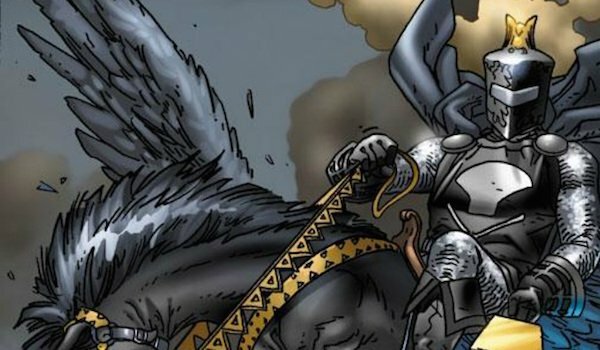 A guy wearing modernized knight gear and traveling on a flying horse might be a bit much for Ant-Man and The Wasp, but there might be a way to "ground" him (as much as that is possible in the MCU) so that he doesn’t come off as ridiculous. At minimum, they should ease down on the knight motif and emphasize the unusual technology this guy is packing, a.k.a. something more along the lines of Iron Man. If they wanted to add a familial element to his character, they could also include his nephew Dane Whitman, who took up the Black Knight mantle as a hero after his uncle passed away. Audiences met Darren Cross in Ant-Man, but did they know he also has a cousin who’s just as bad? Originally starting out as a CIA interrogator, William Cross left the agency to build an army of mercenaries, but his illicit activities made him a lot of enemies, and one of those individuals set a booby trap for him. 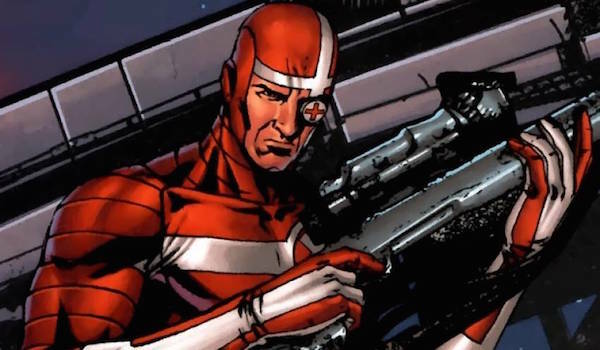 William only lost his left eye and ear from the attack, and after fitting himself with cybernetic replacements, he made a name for himself as an assassin and eventually joined his cousin’s company to rebuild his operation. Since then, he’s fought all types of Marvel heroes, from Ant-Man to Hawkeye to Moon Knight. It was rumored in June 2014 that Patrick Wilson would be playing William Cross in Ant-Man, but following Wilson’s departure due to scheduling issues and Edgar Wright vacating the director’s chair, the plot was reworked so that Darren was the only major villain. He may not have any superpowers, but his skill set would still make him a worthy successor to his cousin’s villainous legacy, whether he’s operating solo or working with Mitchell Carson and his HYDRA allies.